This post follows on from the previous one. 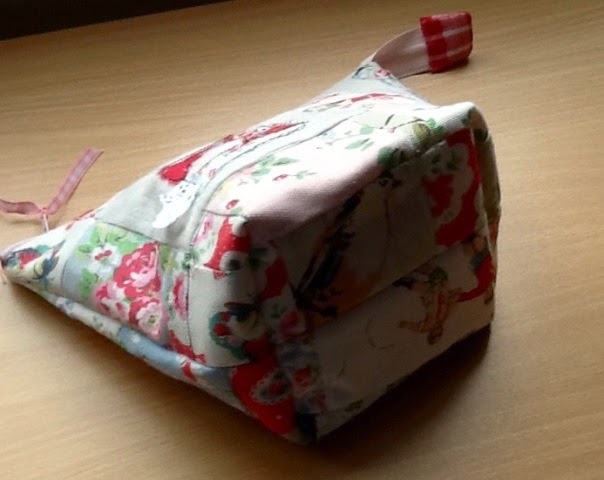 This is the zippered pouch I made for myself. mainly squares & rectangles of fabrics. 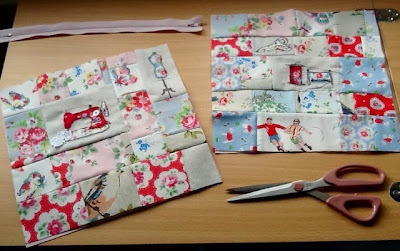 The patterned fabric was from a bag of Cath Kidston scraps. This is the back of the pouch. 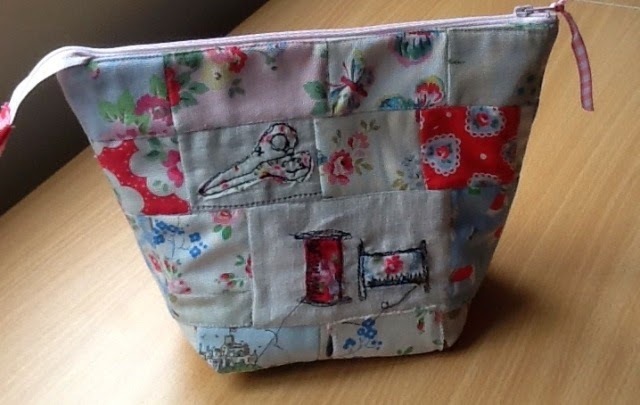 and freehand stitched fabric over the top. I lined it with some co-ordinating fabric. I'm all pouched out now! 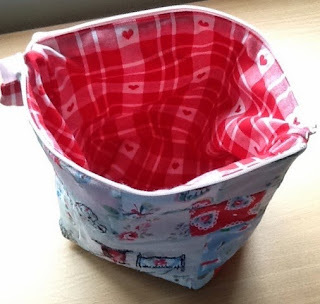 Your free machining is brilliant, Sherry - and works so well with the retro Cath Kidson fabrics. Brill! Wow, Sherry, gorgeous patch work projects, great machining. Your friend will love her gift. I have great admiration for anyone who can sew well. Unfortunately, school put me well and truly off it! 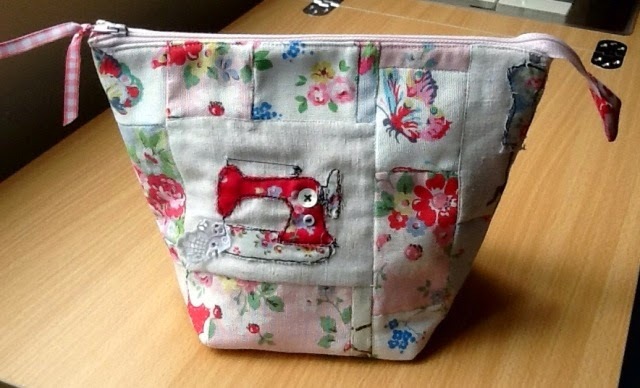 Another fab bit of patchwork. Been doing some myself. 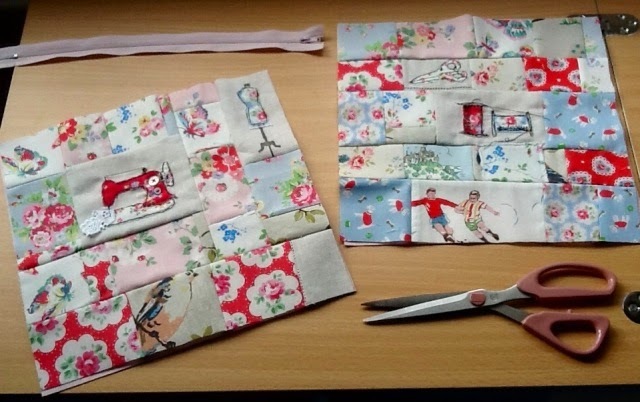 I joined a patchwork blog challenge and swap one 12inch block a month. Your partner sets the colour them and you choose the materials and the block pattern. Totally fed up with my Internet now as I have lost my Email connection on my iPad so haven't a lye go is talking to me if anyone at all. Having to keep checking on blogger comments page. Hugs Mrs A. It's so cute and useful and of course fantastic. Love the way you play/create with so many things Sherry. That's gorgeous! I love your patch work projects. Thanks for sharing!